If you need some climber gift buying guidance, don’t worry, we’ve got you covered. Here’s a list of ideas that you can confidently buy for that special climber in your life. 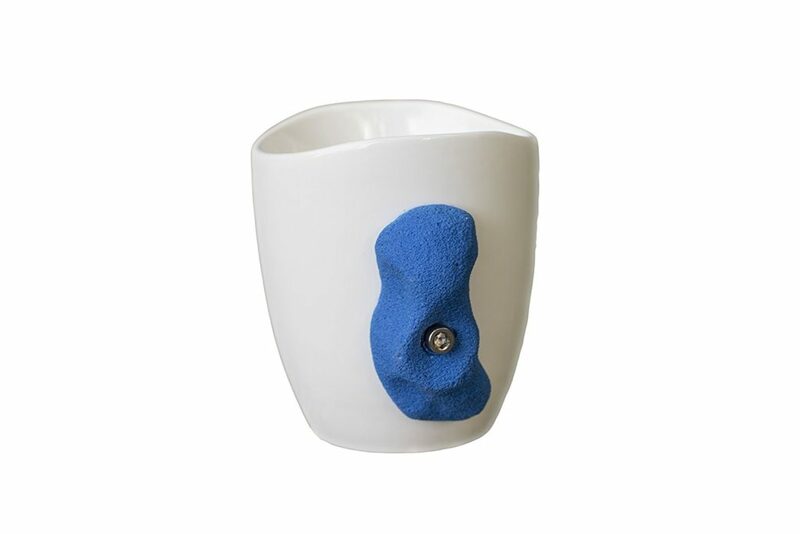 A great gag gift that will get all their climbing pals laughing – the infamous rock climbing mug. Don’t use this mug after a hard session. Your pinch may not hold. Every climber wants one, even if they refuse to admit it. Grabbing this great climber gift will put a smile on any dirtbag’s face. Climbing can sometimes be a pain in the neck, especially when you are forced to look up at your partner as they hangdog at every bolt trying to work their project. If you happen to be that hang doggin’ wonder maybe you should consider picking up your climbing partner a pair of Belay glasses before they get fed up and tie you off to a tree . This next climber gift never gets old. The stories are epic, the pictures rad, and the destinations wild! All climbers look forward to the next issue of their favorite rock climbing magazine! Scope out Climbing, Gripped, and Rock & Ice (three of our personal favorites). Order a subscription for them today! Dreaming of that next send? 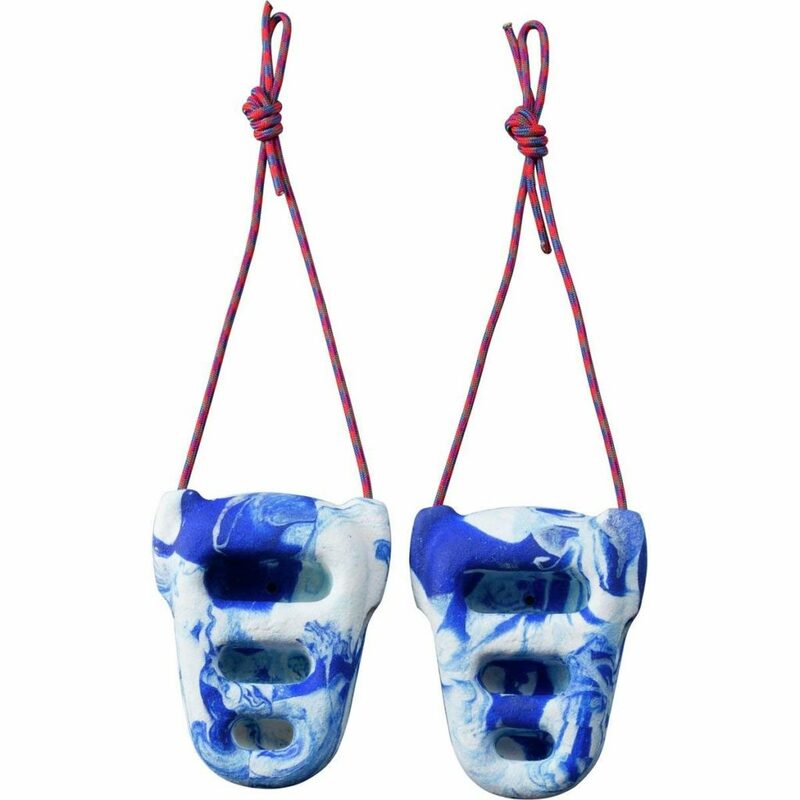 Build up your strength at home with Rock Rings – a fantastic gift for climbers who feel the need to keep training outside of the climbing gym. You can hang these bad boys anywhere – in a doorway, or basement. Take them mobile and make them an addition to their climbing van! Have you seen your friend’s hands? Were they juggling BBQ coals to pass the time? 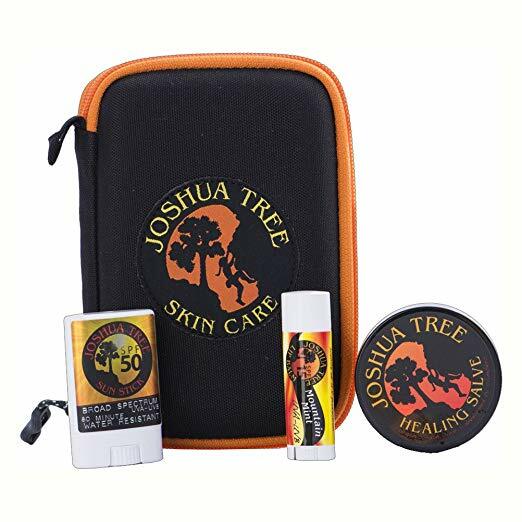 Joshua Tree Skin Care has a kit for all their healing needs. Salve, lip balm, and a broad spectrum sun-stick come tucked in away in its very own pouch. It’s everything they need for a day of long sending at the crag. This skincare expedites healing time and soothes out of control callouses. For the climber who has everything, they probably don’t have this! 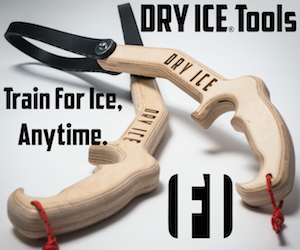 These indoor ice and mixed climbing training tools make an excellent climber gift. Designed to expand every climber’s skill set, the tools open an entirely new lexicon of moves for rock climbers, ice climbers, and even boulderers. 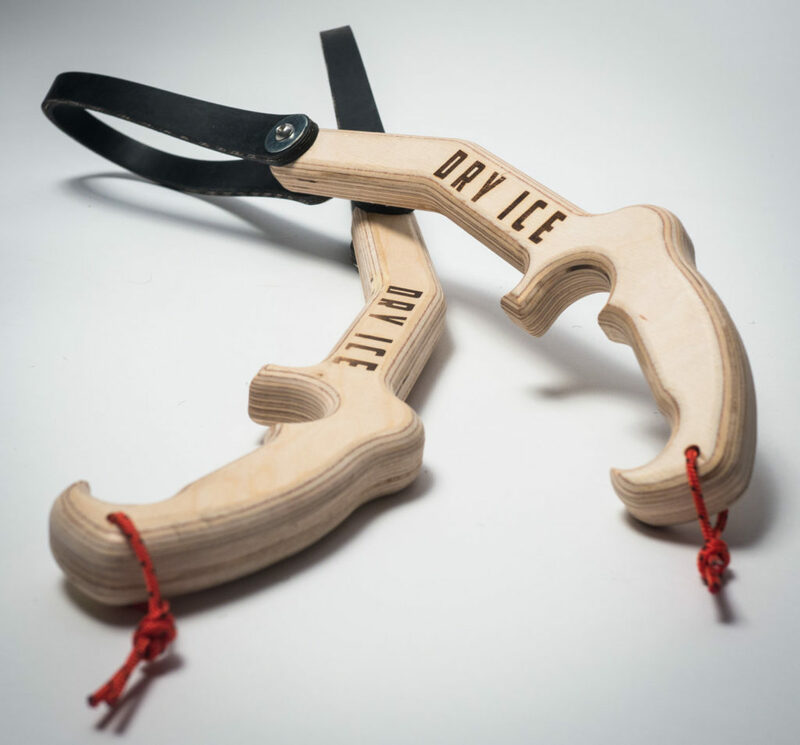 All eyes will be on your climbing friend as they transform the climbing wall into an icy winter wonderland using these indoor ice axes. With DRY ICE Tools #ItsAlwaysIceSeason! Ensure the climber in your life sticks all their moves. How, you may ask? The Friction Labs Chalk Set is chock full of…well, chalk! High performance chalk is essential for landing tough moves, especially since this stuff absorbs all the sweat on your hands. If your friend is a boulderer, consider this the perfect climber gift! 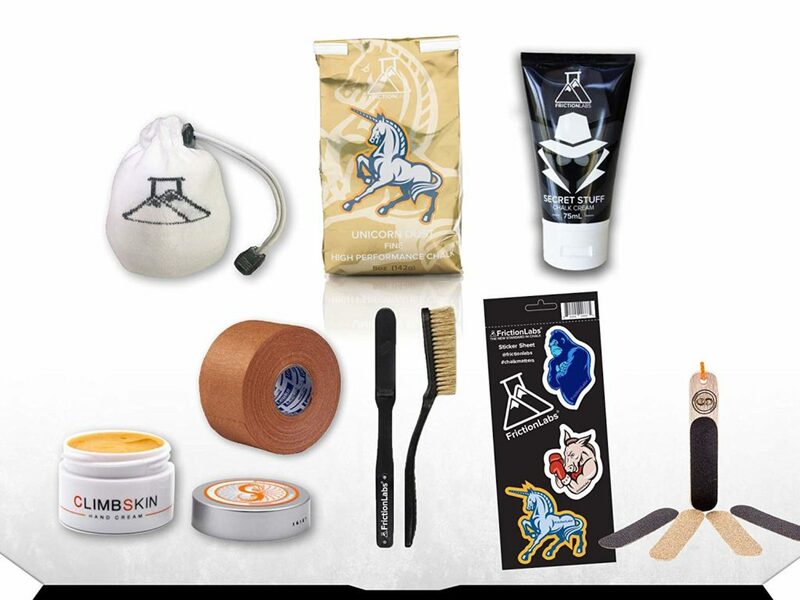 The kit also includes hand healing balm, files, finger tape, and more. Hangboards are the gifts that keep on giving, especially if you’re trying to build finger strength, which is paramount to sending projects and preventing injuries. Many different kinds exist with most being made out of plastic or wood. Wood hangboards are less coarse and easier on the skin when training. Our pick is the Metolius wooden hangboard. It’s ideal for your favorite climber to mount over a door on a nearby wall. A headlamp is the most versatile gift you’ll find on this list. Perfect for everyday use, a headlamp allows climbers to race the sun and get an early start at their favorite crag. It’s also helpful for hiking out in the evening. Whether your friend is a hiker, climber, runner, or just has fun tinkering in the garage – a good headlamp makes all projects much easier. The Black Diamond Storm Headlamp is a fantastic gift for anyone looking to get things done, day or night! Every climber needs rest day. What better way to maintain the stoke than to watch some incredibly inspiring climbing films! Consider some of our favorite climbing movies – The Dawn Wall, Dirtbag: The Legend of Fred Becky, Valley Uprising, Free Solo, Mountain or Meru as a gift for your favorite climber! 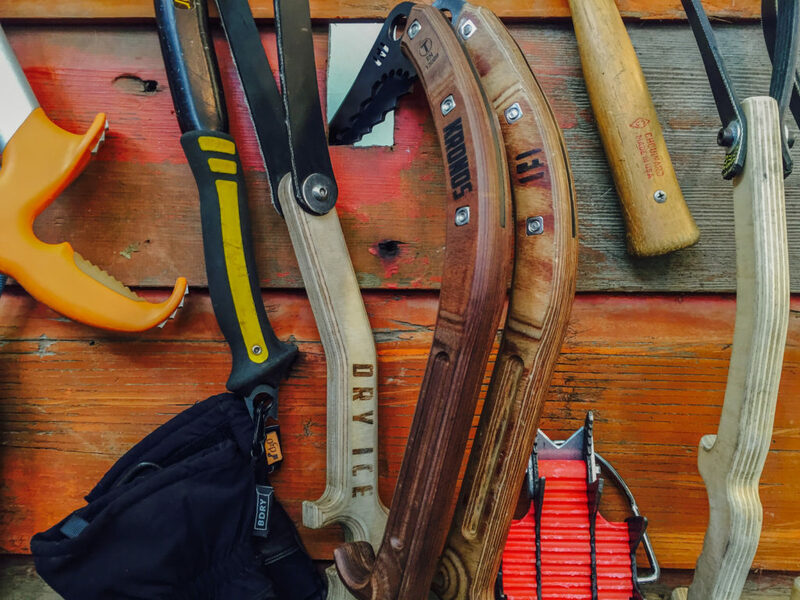 Any gift from this climbing gift guide is sure to be a hit with all your climbing friends. Happy holidays and happy sends! Time to Climb participates as an Amazon Associate and we earn from qualifying purchases. If you enjoy and/or benefit from content on our site please consider supporting us by sharing our articles. Thank you for your support!